A Care Worker at a Worcester based supported living company has enabled a service user and his pet to stay together in their own home after ‘em-barking’ on a firm friendship with Sally the dog. 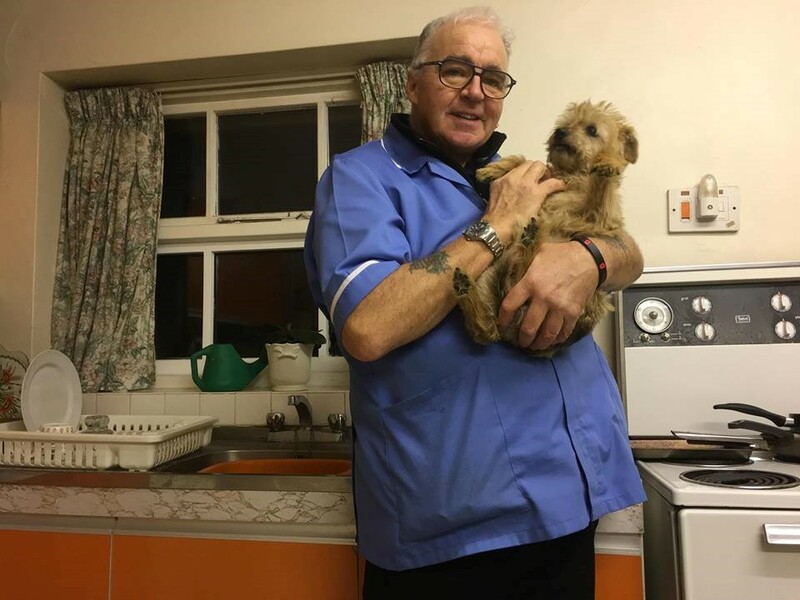 Garry, a Care Worker at Radis Community Care, struck up a bond with Sally after providing support to her human Dad, Peter. Garry, commented: “Sally is Peter’s fifth dog and so animals have had a major role in his life. Peter lives on his own and Sally’s companionship is very important to him. The duo share many happy times together and Garry even looks after the health needs of Sally by applying cream to her underbelly to tackle her scratching. Garry has been working at Radis since February 2018. After being told six years ago by other care companies that ‘most people didn’t want males going into their homes,’ he is now glad that the climate has changed and the demands for care at home continues to grow. Radis is a community based care and support provider that was established in 2001. Since then, it has grown to become a leading provider of community-based social care and support and has branches across England and Wales. For more information on Radis Community Care, the services they offer and employment opportunities visit www.radis.co.uk or call 0330 100 8199.